It is this soil that illuminates the varietal character in their wines, adding a subtle warming glow that ripens the aroma coming out of the glass. 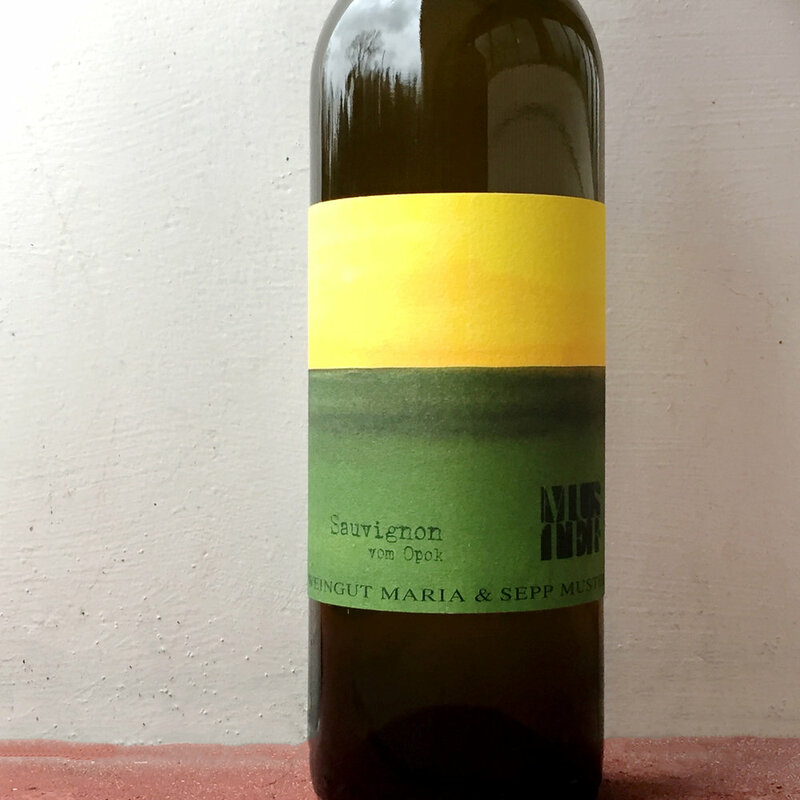 Like the other great Austrian natural wine producers, the Musters allow their wines all the time they need to fully develop, often aging in large casks for 2-3 years before release. 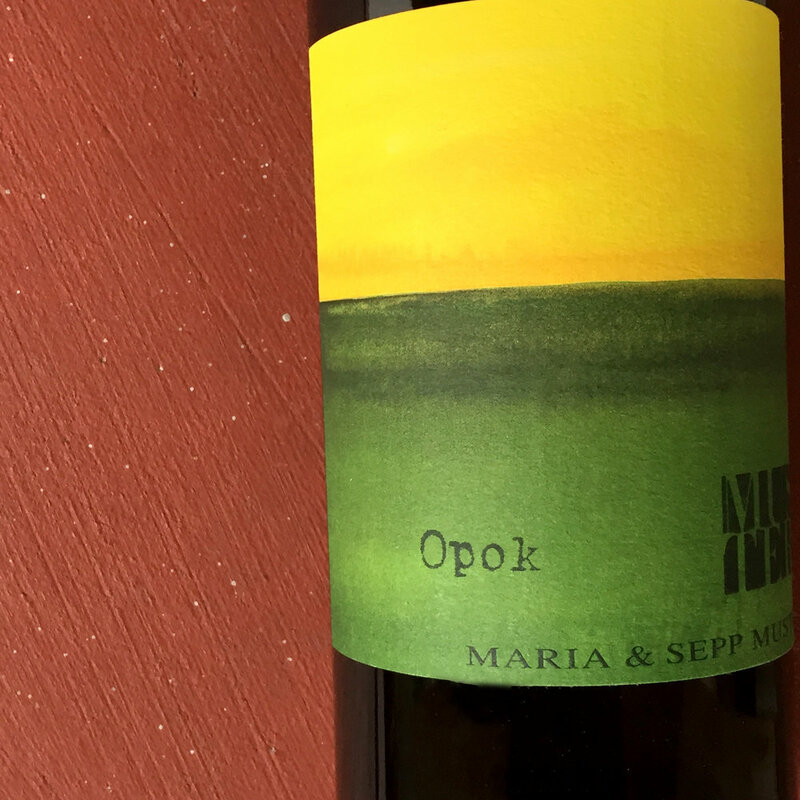 The Opok wines highlight the uniqueness of the soil, while the Graf wines are on steeper slopes that produce vines with smaller yields and wines with increased structure. After a 20-month rest in large oak vessels, surprisingly, this Sauvignon Blanc maintains all of its typical vibrant nature. The aromas, however, have deepened into a herb-speckled compote of apples, nettles and citrus, while the palate packs on a touch more leesy weight than most other Sauvignons. This blend of Welschriesling, Sauvignon Blanc, Gelber Muskateller and Morillon (Chardonnay) is given the same treatment as the Sauvignon above, yielding another weighty white with a flower-filled orchard vibe, perhaps a touch more mossy than grassy.